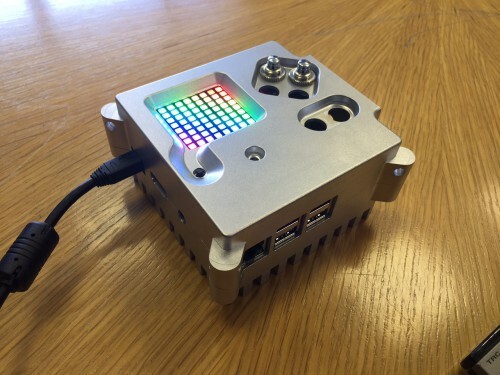 The latest update to the Astro Pi project is the unveiling of the Astro Pi aluminium flight case that British ESA Astronaut Tim Peake will be using on the ISS. This will not be available to the public to buy because we’re only making a small number of them. We may however, in due course, release an object file so schools with a 3D printer can print one themselves. The Astro Pi flight case. 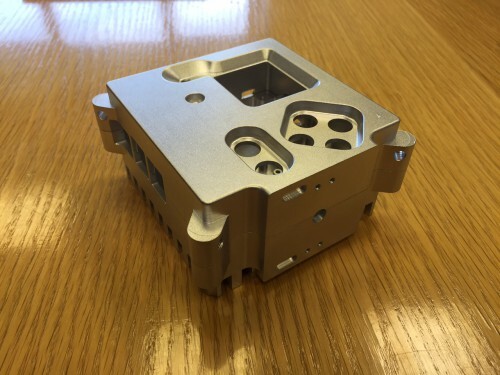 The case is made from 6063 grade aluminium which is standard for aerospace applications. 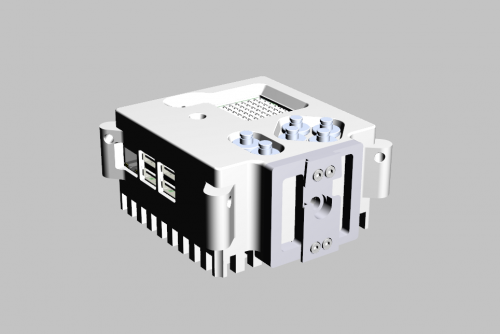 The image below was taken from the CAD software that we used to model it. This is the top view showing the opening for the LED matrix and joystick along with a quad of buttons with an adjacent pair. 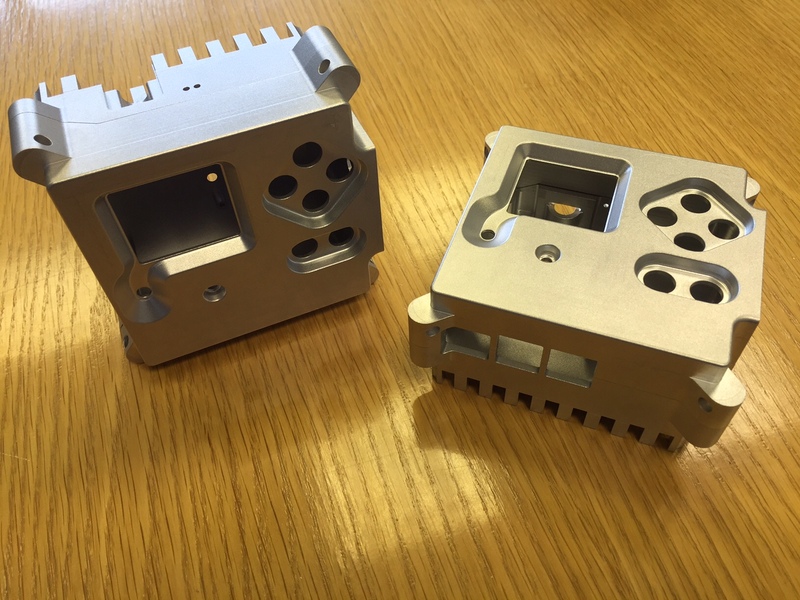 The face on the right is used to attach it to a Bogen arm so that the Astro Pi can be held in place, for example if the crew want to aim the camera out of the cupola window. The hole next to the joystick is to allow air to flow inside and reach the temperature, pressure and humidity sensors. The design may surprise you because it’s so big and bulky. It satisfies the safety requirements that ESA and NASA have in place for small payloads aboard the ISS though! This is not a 3d rendering! The most important of these requirements is touch temperature. There is a rule that any surface, that the crew can touch, must not reach or exceed 45 degrees Celsius. Our Jonathan Bell and SSTL’s Nimal Navarathinam did extensive thermal simulations to work out the requirements. That’s really hard maths to you and me! The CAD heavy lifting was done by Jonathan Wells who runs an industrial design consultancy local to us in Cambridge. In space the process of convection doesn’t happen. On Earth the air warmed by a Pi CPU will rise as colder air is pulled down by gravity. On the ISS the air warmed by a CPU just stays there and bakes it. 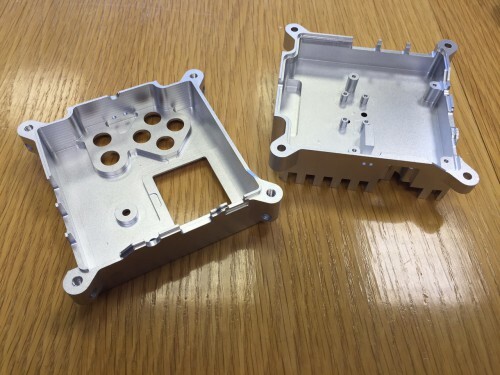 So the case has been designed for thermal dissipation in mind. There is a guaranteed level of airflow within all of the ISS modules which makes this possible. Those pillars on the base each dissipate about 0.1 Watts of heat. 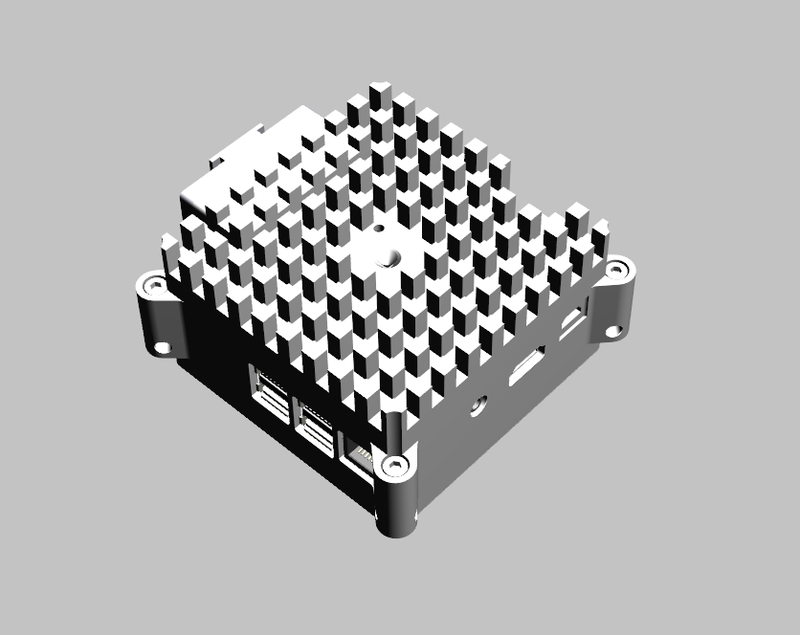 All of them combined with the surface area of the case ensure that the Astro Pi can never get anywhere near 45 degrees. Inside the case the Raspberry Pi is thermally joined to the aluminium by way of a heat conductive boss / slug. The view above shows the hole for the camera module in the middle too. So make a mental note that the camera faces in the opposite direction to the LED matrix when in flight configuration. You can also see the corner bolts that hold the two halves of the case together. The ISS crew are also really fond of bungee cords, the kind you might use for camping or mountaineering with those hooks on the ends, and so the four corner columns have holes to allow bungee cords to be used to lash the Astro Pi to whatever they want. The case is made from a solid block of aluminium and a serious set of skills are required to turn it into what you see above. We’re using a company based in Derby called Pentaxia for this. They’re a great company and have been hugely accommodating of our needs. Below is a picture of their main shop floor. The machines on the right were the ones used to make the case. So that’s about it for now. The only thing left to tell you is that we’ve now reached and successfully passed phase two of the flight safety process with ESA. So it’s only phase three to go now before we get the mighty flight safety certificate that says we can go on the Soyuz rocket with Tim! Between now and the phase three review all the testing will occur at SSTL and Airbus Defence and Space. Keep an eye on social media over the coming weeks for as it happens updates! That is a thing of beauty! Can’t beat machined aluminium for good looks. Thanks mate! These pics were taken before anodizing too so it’s going to look even better than this! It really does look good. Nothing says “solid” and “dependable” more than a chunk of Al. This is really exciting. Looks great as well. So many tests! Fantastic stuff Dave – and well done to Jonathan and Nimal. Software is so much easier to make space-compatible than hardware. Looks good (and will be even better when anodised)! Will you be able to publish the detailed results of the various electrical and environmental tests, so we can see what it can stand up to? You’ll never get me to go on one of those things. So …. the challenge has been set then? (you left us to become a ‘desk-jockey’ with no more ‘field-trios’, and I talk nicely to Eben, and he ‘shoves a rocket up your . . .’, and we launch you into space). Now, where’s Mr. Atherton’s email address …. Good chunky piece of metal. Could I ask for the overall dimensions: I guess it is not particularly large: the hand gives some idea of scale, but the mock grain on the table doesn’t. Or you might include a ruler in a later photo. You can see the ethernet and usb ports, my guess is it is about twice the size of a pi. A fan is a moving part. 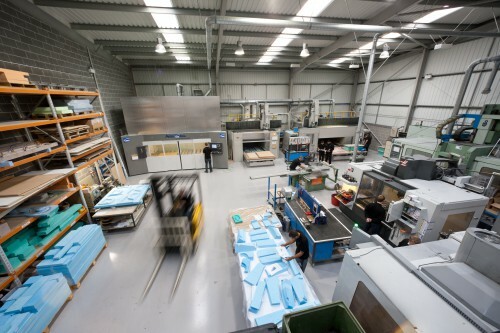 It will have a defined mean time to failure and expected service life – which complicates matters if you rely on the fan to have acceptable case temperature rise. It also uses lots of spinning magnets. You don’t want those near to your magnetometer. convection doesn’t work in outer space because of lack of “air”. I would work if the cpu is connected with an solid metal black using some thermal paste. i think it has been done on strand-1 mission with a nexus one. 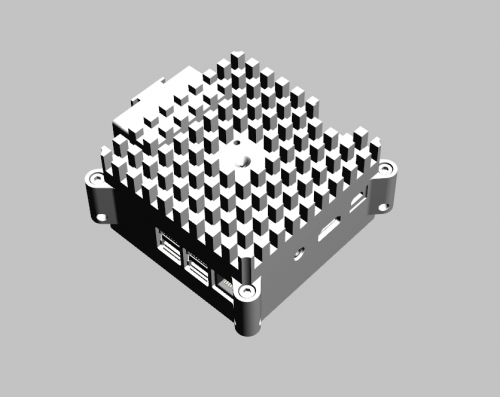 Finally … those that keep promoting heat sinks for. RPi have proof that it is needed (in rare situations). Reminds me of an argument my brother had with his best mate at primary school (Who is now a TV archaeologist!). Claim was his Dad’s car could do 120mph. My brother say Nah! When friend asked his Dad, he said – “yeah, maybe off a cliff with the wind behind it”. So he was indeed right, but for a very specific definition of right. just wondering…….how much does it cost ??? I would buy one of those. Are you sure you don’t want to make them for sale? I wouldn’t be surprised if it’s cheaper to buy a new car as a case for your pi. Phwoor. Love a bit of hardware. With estimates of the marginal cost of getting cargo to the ISS being of the order of $30,000 to $80,000 per kg ($600,000 per kg if it’s a human cargo) Wouldn’t it have been cheaper (and even more beautiful) to make the case out of diamond? Having worked for ESA for more than 20 years, anxious to know how it behaves on the vibration tests. These can be very brutal. Hope the Pi itself survives those without any cracks. I like Pi cases that are as small as possible. My favorite right now is the Flirc case, but this thing is beautiful. I think I’d be OK with the extra bulk if I could get one of these. does the aperture in the case manage to avoid vignetting the camera’s field of view? But will it blend? That’s the question. I’m surprised they didn’t use 6061, that’s also common in aviation and aerospace. “This will not be available to the public to buy because we’re only making a small number of them” Does anyone find this statement strange coming from a science based org? What type of logic is this? It’s a type of logic where if we spend tens of thousands tooling up for mass production and then no one buys them because of the high cost as they are a niche, bespoke item then we will lose lots of money and have less to spend on our educational mission. It’s the logic that comes from seeing how much these cost to make, and from a knowledge of our user base and the realities of the market. This is not a commercial product: it’s a very specialised piece of industrial equipment. So make a kickstarter, predict the cost that one piece will cost that your would make anyways. Add a percantage of that to the price of the Kickstarter Units includig all costs by paypal/ks. Produce the funded ones with the ones you would make anyways to save costs. So have parts of your project cofunded and a no risk production of additinal in advance sold items. I’d love to have the design files or an .stl to 3D print this case. Any chance the CAD file will be released? Please release a CAD or .stl file. 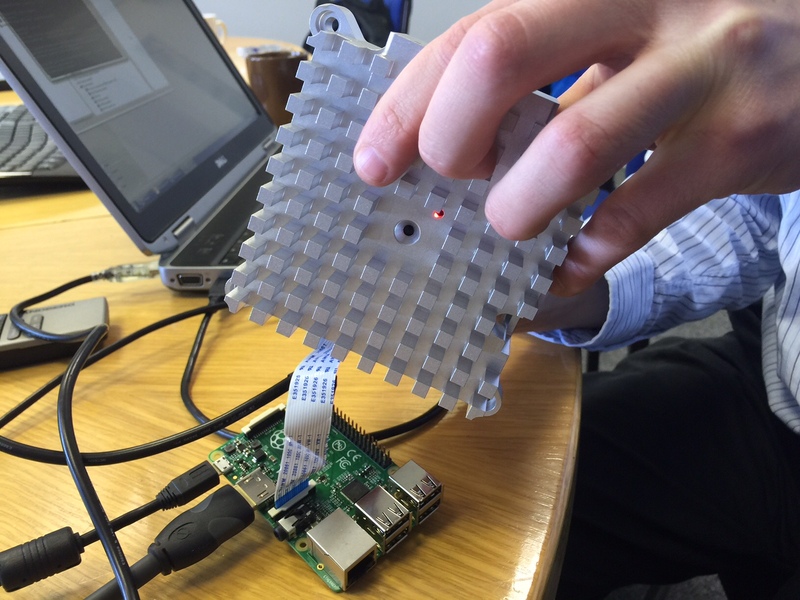 so many people 3d print their raspi cases, and now that you can buy the HAT, we’re that much closer to being able to make a replica astropi!